Your collaborators know your brand better than anyone. They are the best ones to transmit your vision and messages, but first they must register. Inviting them is very simple: You can include their email addresses one by one, or upload a file with their addresses, or send a link to the collaborators so they can register directly through the link. 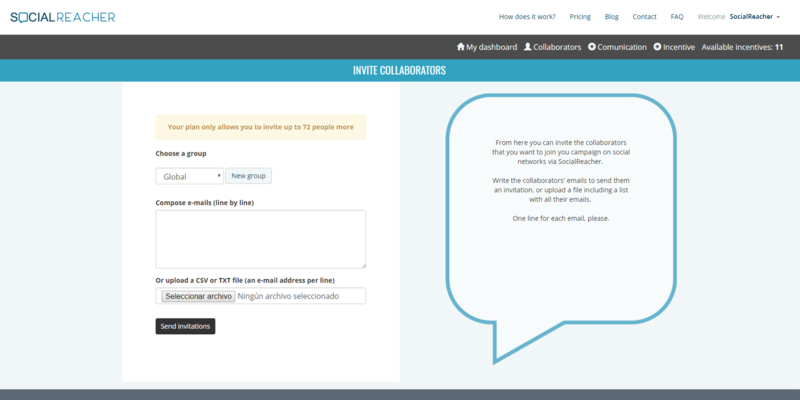 As they sign up, you will be able to see their social media networks and their potential reach. Choose the messages you want to share. 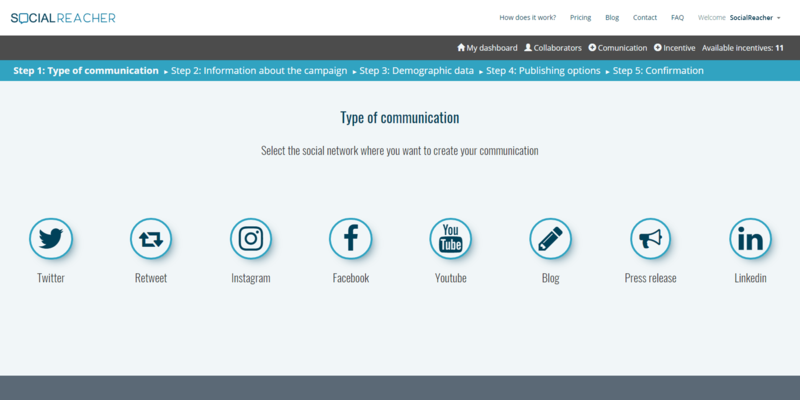 Create a campaign on the social media network of your choice: Facebook,Twitter, Instagram, YouTube, LinkedIn or Blogs. Select the criteria for inviting your collaborators: by group, age, gender, number of followers, and then determine the deadline before which the collaborators have to publish. After that, the collaborators will be able to personalize their messages and make them their own, adjusting to the criteria required by the campaign: hashtags, links and multimedia content. Once the campaign is launched, your collaborators will get to work right away. And that's when you will see their messages and can request changes, and you can calendar or publish their messages. 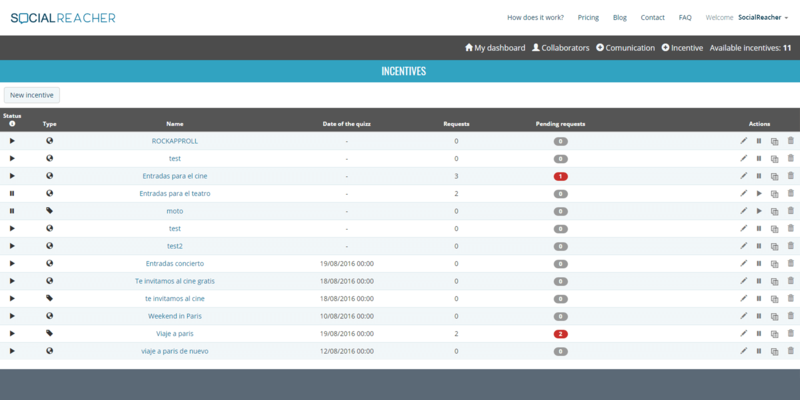 On your dashboard you can see the status of your campaigns in detail, and in real time. And you can pause, finalize, activate or re-launch the campaigns you have underway. Communication is power. That's why it's important to know how many people your messages have reached. 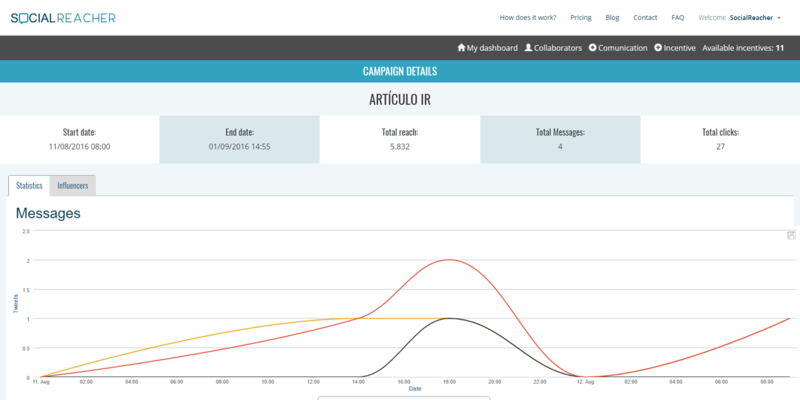 With SocialReacher you can access detailed reports on how your campaigns have gone. 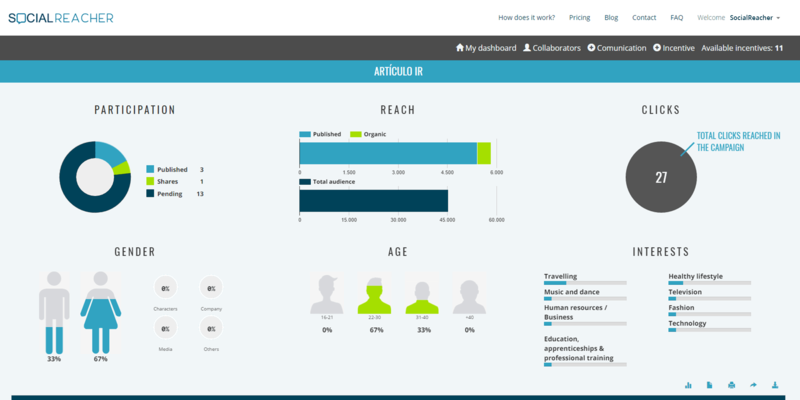 You can see in real time the statistics for the scope obtained by the publication, as well as the data related to social metrics: retweets, likes, clicks, comments and visualizations of the content. Are you proud of your collaborators who have become brand ambassadors? Let them see your pride in them. Use your imagination to reward their commitment and loyalty. Incentives can be tickets to the cinema, a sporting event, or a concert, an extra day off, certificates for the top employee of the month ... the only limits are set by you. Remember: one good collaborator who is incentivized is worth double their value.